It is probable that Machu Picchu in Peru, is in the first line of the bucket list of the majority of people; therefore, you should know that both Machu Picchu tickets and train tickets must be booked in advance. Here are some reasons to book the Machu Picchu ticket in advance. It is certainly a bad idea to expect to be in Cusco to buy tickets to Machu Picchu, since it is very probable that tickets are not available; and unless you plan to stay for a few weeks, you will not find tickets available for upcoming dates. In case of availability (unlikely), you will have to make a long line to make the reservation and then make another to pay the ticket. Instead of wasting “valuable time” waiting inside a poorly ventilated office, in some cases without any sense, you could visit the Inca fortress of Sacsayhuamán, visit the handicraft shops, shop to the local markets, tour the center historic Cusco, cycling in the Sacred Valley of the Incas, etc. If you do not book your Machu Picchu tickets in advance, it is possible, after having arrived in Cusco and waiting, to discover that Machu Picchu tickets or train tickets are sold out. The reservation with us will allow you to secure one of the Machu Picchu Tickets, you will be relieved to have the tickets in your hands. Since arriving in Cusco, you will find a good number of people wanting to buy their tickets for the following days. They, in most cases, will stay with the desire to enter the Inca City. Buying tickets through us (in advance) can make you save money, how ?, In high season you will find many agencies trying to resell Machu Picchu tickets at really high prices, taking advantage of people’s desire to enter Machu Picchu; Also, keep in mind that the prices of hotels, guides and additional tours, tend to increase a lot this season; so we recommend you book them well in advance. 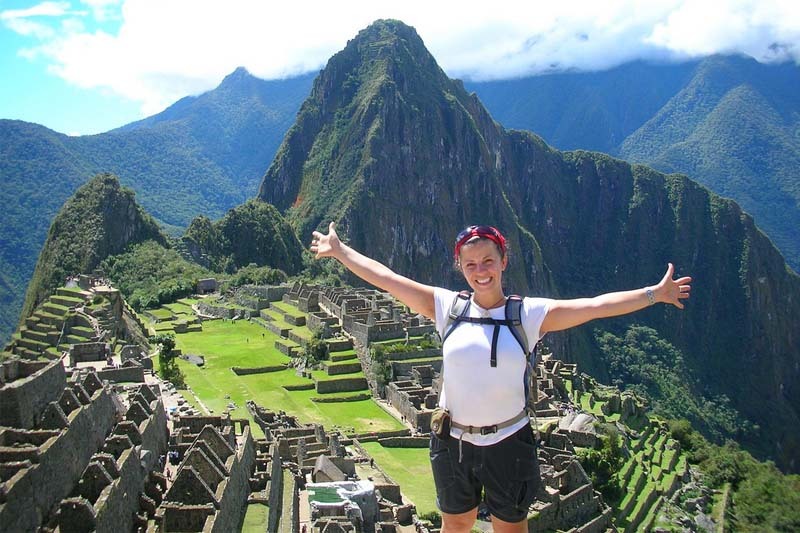 The Tickets Machu Picchu + Huayna Picchu offers one of the most impressive experiences of Machu Picchu. but to ascend this mountain you must book this ticket 6 months in advance, otherwise it will be impossible to get the pass to this fabulous mountain. Buying in advance gives you a better chance of getting the train tickets, on the train you prefer and at the schedule you want. It does not make sense that your trip to Machu Picchu is interrupted by not finding the train tickets, but it is possible. Although we charge a commission for acquiring entrance tickets to Machu Picchu, this allows you not only to secure your tickets, but also to save time in Cusco and Machu Picchu; besides receiving a service and attention of first. Imagine this: You already have the tickets to Machu Picchu in your possession. He then arrives at the train station and discovers that no tickets are available. You will not be able to reach Machu Picchu because there is no transportation. You will only stand there with your tickets to Machu Picchu and no way to get there. Book your Machu Picchu ticket now. If you wish, we can help you to book also: train tickets, guides, hotels and additional tours; just contact us at info@boletomachupicchu.com. ← Huayna Picchu or Waynapicchu (Wayna Picchu)?